I already mentioned previously how much I love the Fendi Baguette and that if I could, right now, buy any designer bag, it would be this. Each brand has something iconic within their history... long list for another day but it is something to know when you want to shop for forever stylish pieces. I always try to encourage my friends who don't know much or anything about fashion to always try to buy the iconic pieces. Because they will last. It is an investment. It is even more of an investment for those who don't follow fashion or who don't want to think too much about what to wear but still look as stylish as possible. 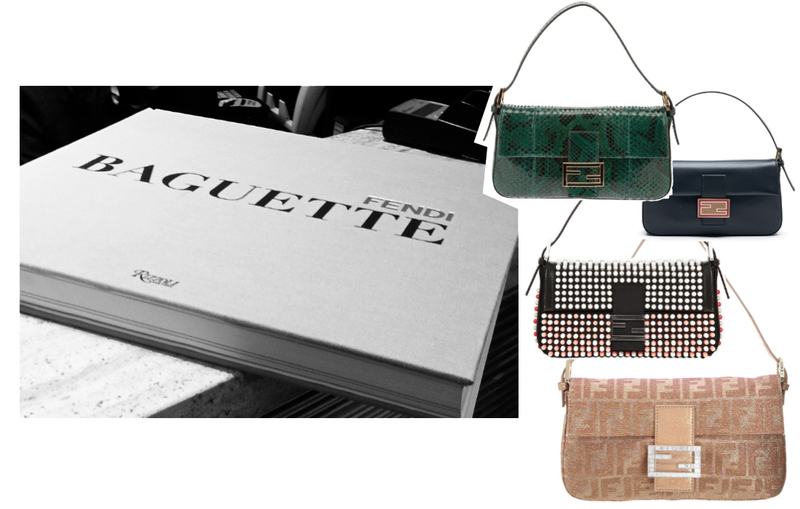 Perfect example are the Fendi bags: The Baguette, The Selleria and The Peekaboo. The Fendi Baguette is a rectangular shaped flap purse with that comes in an endless number of designs. It was really big in the nineties but as an iconic bag it will never go out of style. It was often worn by Carrie & Co in SATC. The Selleria bags come in many shapes and forms. They are known to have a signature style of sewing and leather that they use to make the bags. In the new Selleria series you can find the Baguette and the Pekaboo too in Selleria style. Working in luxury retail is amazing for many reasons but mainly for all the interesting good stuff you get to learn daily from inspiring people. For example I found out from Browns head buyer during my internship over there, that my Fendi, a Selleria (gift) is a bag that can be sent back to store for a fix up when it becomes a bit used. A service usually offered by luxury shoe companies so it is amazing. The peekaboo is also known for its signature shape, it is a bigger handbag with a partitoin in the middle. Have a look at this video where you can see how it looks, and how it is made! Click on Icons to ind out more about the Fendi Icons.